Deonte Moorer and Jason Massey BOTH convicted of MURDER. Last week, a jury convicted co-defendants Deonte Moorer and Jason Massey of the MURDER of thirty-three year old Cedric Hollinger in 2015. 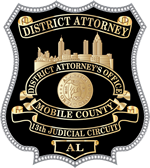 The defendants were also convicted of shooting into an occupied dwelling on that same date. The victim, Cedric Hollinger, was murdered on October 27, 2015 while standing on the front porch of his residence at 807 Welworth Street. His death was the result of a drive by shooting that took place around 11:00 PM. Four suspects were apprehended. Two of those suspects were Deonte Moorer and Jason Massey. Trial began on Tuesday, September 11th,2018. Deonte Moore failed to appear. The State requested that Moorer be tried in ABSENTIA. This is a very rare occurrence. In the past 22 years only one other case, prosecuted by District Attorney Rich, has been tried in Absentia. Judge Robert Smith granted the motion, agreeing with the State that the defendant waved the right to be present at his trial since he was provided with ample notification of its impending date. Co-defendant Jason Massey did appear in court for the commencement of the trial. The State was represented by ChaLea Tisdale and Queena Ruffin, Glenn Davidson represented Deonte Moorer, and Tom Walsh represented Jason Massey. Eyewitness, family representative, and expert witness testimonies were presented by the State over the course of the three day trial. On Friday, the State wrapped up their case and the Defense provided one witness. After closing arguments were made by all parties, the jury was released for lunch, and asked to come back in an hour so they could begin deliberation. After an hour of deliberation, the jury found both defendants GUILTY of MURDER. Jason Massey never returned to hear the jury’s verdict. A warrant was issued for both defendants’ arrest. On Sunday, Moorer and Massey were picked up on outstanding warrants, one of which included their conviction of MURDER. Sentencing will be on October 23, 2018.